Maturity models can be beneficial when used in the right context. But when taken too literally or driven further than they were designed to go, they can be downright dangerous. This is especially true in the context of globalization and localization, disciplines which are at the center of several disruptive, world-transformative trends such as the rise of hyper-personalization, artificial intelligence and user-generated content, and the lowering of barriers to technology. My epiphany moment came from a professional experience during a competitive sales engagement with a potential new client. The buyers were marketing people as opposed to localization procurement people, and they described their desired solution in terms of marketing, not localization. In the first place, they weren’t talking about projects, and they didn’t seem to care at all about details like translation memory leverage, weighted word costs, etc. Our proposal, on the other hand, was very much tailored to the optimization of such things. We didn’t win. When conducting our loss analysis, one of the suggested reasons was that this client was “localization immature,” and CSA’s Localization Maturity Model was cited as evidence. 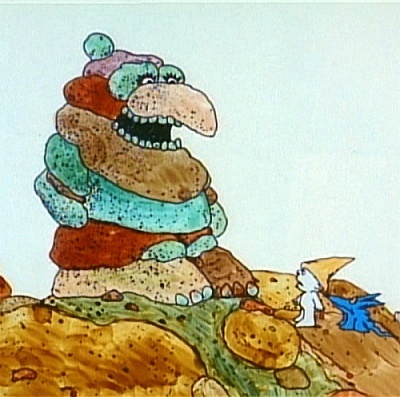 It was suggested that it was perhaps a good thing that we didn’t win the account. A red flag materialized before me. In today’s rapidly evolving world, not only should assertions of maturity (or immaturity) be questioned, but the entire concept should be challenged. And I’ve utilized both CSA’s Localization Maturity Model and TAUS’ Evolution of the Translation Industry model when working on our technology roadmap in my role at Moravia as Technology Program Manager. Knowing how the industry perceives its strengths, weaknesses and ambitions is an important source of information when trying to predict the future of market demand. Before we dive in, let’s briefly look at where maturity models came from and how they’ve evolved. As with superheroes, knowing the origin story behind ideas can shine light on their strengths…and their weaknesses. In the late 80s/early 90s, the Capability Maturity Model was developed as a way for the US Department of Defense (DoD) to evaluate its vendors’ ability to effectively deliver on software development projects. It was essentially a supply chain management technique that helped mitigate the risk of project failure from things like a vendor not having a defined QA process. As a framework, it was pretty simple: define five progressive stages of maturity starting with Level One (the least mature) and ending with Level Five (the most mature). Then, each level is described based on its maturity characteristics (like how you might describe the different stages of fetal development from fertilization through birth). The DoD could classify each vendor with a maturity score based on the stage that most closely matched their processes, then use these scores to influence resourcing decisions, engage in supply-chain improvement activities and more. Fast-forward to today, and the model has been widely adopted by the business world as a generic technique for organizational evaluation—a way to profile oneself, one’s industry, one’s clients or one’s perceived competition against an idealized and sometimes futuristic state of best practices. It’s important to understand that these models are typically constructs of experience, opinion and imagination, not the results of applied scientific methods. They’re more closely related to management fiction like “the Phoenix Project” or Eliyahu Goldratt’s “the Goal” than they are to actual scientific modeling. They’re part cautionary tale, part success story, told in a structure like Joseph Campbell’s hero’s journey, where through trial and tribulation the protagonist goes from zero to hero. They’re emotionally compelling, and that’s part of the problem. How compelling they are says nothing about how good they are at predicting the future or how much we should trust their advice for propelling us to victory. As we know from analyzing them in retrospect, these kinds of predictions are wrong all the time. In my 20+ years in the globalization/localization industry, I’ve had the opportunity to witness the origins of practices which have since gone on to become “best practices” simply because twenty years later, they’re still being used. It’s a fascinating phenomenon where humble techniques get reinforced through various positive feedback loops, including procurement processes which have vendors compete against their collective description of an ideal solution. Something that has been widely practiced for a long time only becomes a tradition. To call something a best practice implies that there’s been a competition between alternatives, with one of them rising as the measurable winner. But many practices run uncontested for years. And yet, traditions by their very nature are potential prey for disruption, and today’s mature practices can easily become tomorrow’s obsolete ones. As humans, we’re hard-wired to want to make sense of the world, but we’re also hard-wired to avoid pain and discomfort. When we encounter information that contradicts our existing worldview, it creates cognitive dissonance, a form of psychological pain that we can address either by modifying our world view or ignoring the contradictory information. You can recognize the latter tendency in the now-notorious “filter bubble” phenomenon, where people surround themselves with information that already reflects—and therefore validates—their existing opinions. It’s a natural behavior, but one that’s multiplied by social media technology. It’s perhaps harder to recognize this tendency in our own professional endeavors, but when we seek out models that reinforce what we already believe, we risk becoming over-confident in our worldview and making decisions based on our biases as opposed to our best interests. Perhaps the most dangerous place to be on any maturity journey is at the highest maturity level, because this is where we risk telling ourselves that we’re in a stable and comfortable position; that we can relax; that everything is “incremental innovation” from now on. A sense of security can be a very dangerous thing for a business because it’s always false. In a healthy economy, your business is perpetually under attack from competitive forces, whether they be direct competitors or a customer’s competing options, including the option for a consumer to stop consuming. History is littered with the corpses of companies that were operationally mature and simultaneously on a path toward irrelevance. So, how then does one make use of maturity models responsibly? Use more than one model when incorporating maturity models into your decision-making process. Reach outside of your existing discipline (for example, localization) to better understand the ideas behind “maturity” that intersect with and influence your practice. The more worldviews you have exposure to, the better picture you’ll have of the overall landscape. Seek to understand the biases of the author of the model. Who and what is the model serving? How do their interests align with yours? Never use maturity models to classify new or competing ideas as being “immature” simply because they don’t conform to the model. Never use maturity models as a way to judge customer demand. Customers may be immature according to your model, but they’re still always right. 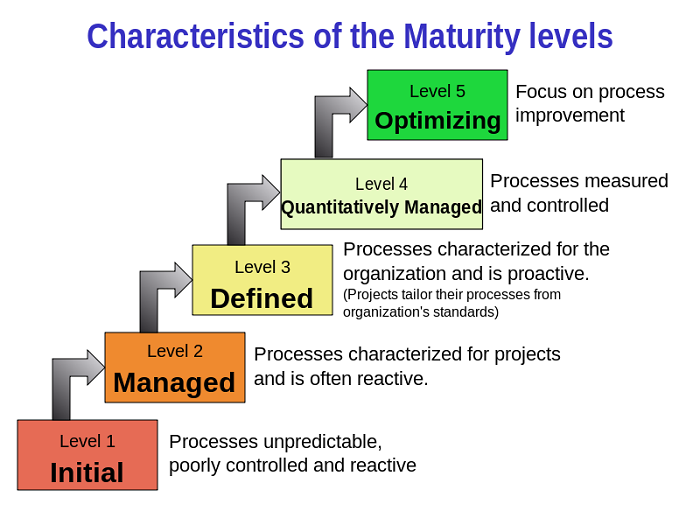 Always use maturity models as a trigger for improvement, never as an excuse for stagnancy. If it tastes like comfort food—it’s probably not good for you in the long run. Used in this way, maturity models can be valuable tools, even serving as a catalyst for strategic planning, improvement planning, capability assessment and other activities that benefit from knowing the destination.